Several Jewish organizations, including the recently formed New Jewish Congress, the Sanhedrin and the Temple Mount and Holy Temple groups, have sent a letter to Israeli Prime Minister Ehud Olmert demanding that access be granted for Jews to ascend and pray on the Temple Mount. Click here to view an online video of the statement made by the New Jewish Congress requesting permission for prayer on the Temple Mount. The demand came after the terrorist organization Hamas commenced radio broadcasts from the holy site last Wednesday, marking the Muslim holiday of Ein ul-Adhaa. This holiday commemorates the date on which Muslims believe Abraham willingly offered his son Ishmael to God, who was the father of the Arab race. But the Bible states that it was Isaac who was willingly offered to God (Genesis 22:2). It is also believed that the site of the Temple Mount is the same Mount Moriah mentioned in Genesis on which the offering of Isaac took place, which was a foreshadow of the offering of Messiah Yeshua to God for the sins of the world. Last Wednesday also marked the Tenth of Tevet, commemorating the beginning of the seige of Jerusalem by King Nebuchadnezzar. But Israeli police have closed the Temple Mount to non-Muslims for these days for fear of offending the Muslim worshippers. Quote: ""We demand the Government of Israel allow the Jewish people to have freedom of religious expression on the Temple Mount. This will serve as a preliminary step in confirming the Jewish people's inexorable connection with the Temple Mount, location of the Holy Temple, under the sovereignty of the people of Israel," states a letter to Prime Minister Ehud Olmert signed by the leaders of the New Jewish Congress, the Sanhedrin and the Holy Temple and Temple Mount movements. There has been a lot of activity surrounding the Temple Mount over the last few months. In October the Kohanim, the priestly tribe, assembled on the Mount and recited the priestly blessing, for the first time since the diaspora. In November the manufacture of the Golden Crown for the High Priest was completed, and the Temple Institute announced they are presently working on the garments for the priests and the blueprints for the Third Temple. In December the Golden Menorah was moved closer to the Temple Mount. As we can see, Biblical prophecy is being fulfilled at an incredible pace. There is talk of a peace agreement between Israel and the surrounding nations before the end of next year. There is talk of the Temple being rebuilt. And there is talk of war with Iran and other Islamic nations, which will undoubtedly involve Russia. 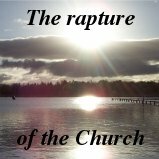 It is clear that everything that the Bible prophesied concerning the last days is now falling into place. The question is, if Christ came today, would you be caught up to be with Him in heaven, or would you be caught out like the foolish virgins (Matthew 25:10). Call upon the Lord Jesus Christ for salvation today.